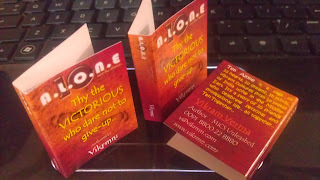 10 Alone : visiting cards : you have to be different.. Ten Alone : a saga of 10 friends.. 10 Chartered Accountants..
10 Alone : visiting cards : you have to be different.. Visiting Cards should talk what they are all about.. Here goes the visiting cards of the "10 Alone"..
a saga of 10 Friends.. 10 Chartered Accountants..